My stay was fantastic, every thing was perfect, but I couldn't believe it when the car valley employee (I think he was from India) was shouting on me! I said nothing to him and moved. 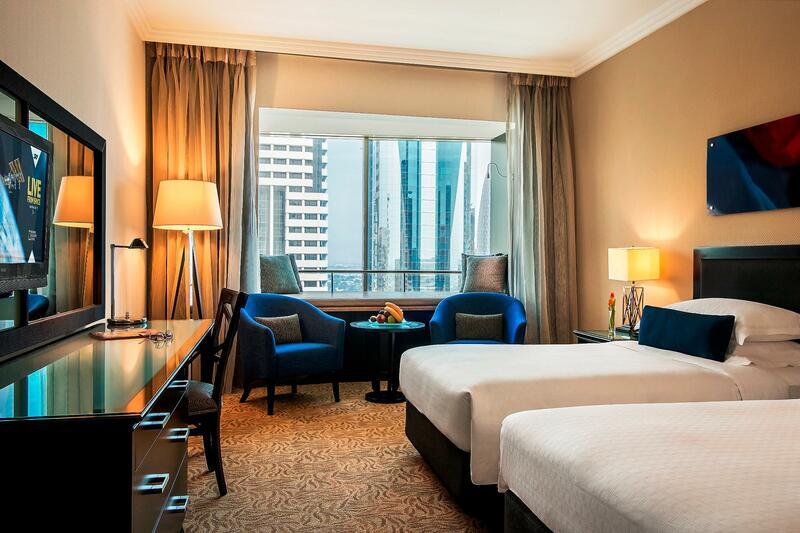 The hotel is very centrally located and close to Dubai Mall en next to the metro station. The hotel has all the amenities that you would expect. The rooms are big and spacious and the very good value for money. Check in and out was quick and painless. Staff very friendly and helpful. The only negative point is on the Monday (2nd Dec) breakfast the restaurant was full and we were told to go to the club floor for breakfast. The problem was that they were not expecting the influx of people and the seating and food ran out. Hopefully this was an exception and not the norm. Initially my booking was a three bedrooms unit, due to some reason the room was changed to connecting rooms. They do informed me and asked for my permission , I felt happy for their info because they communicate well with guests before guest arrived . We were offered 1 premium room with connecting another 2 rooms, they also offered us free breakfast and we were happy with this arrangement . During our arrival , we felt welcoming by the staffs and they do allowed us to extend our check til 4 pm before we heading to Abu Dhabi. All The receptionists were great and they do provide a excellent customer service to us. Beside that, the guest services, doorman and housekeeping were friendly and helpful. After a night out we were surprised by the fruits and dessert in our rooms. 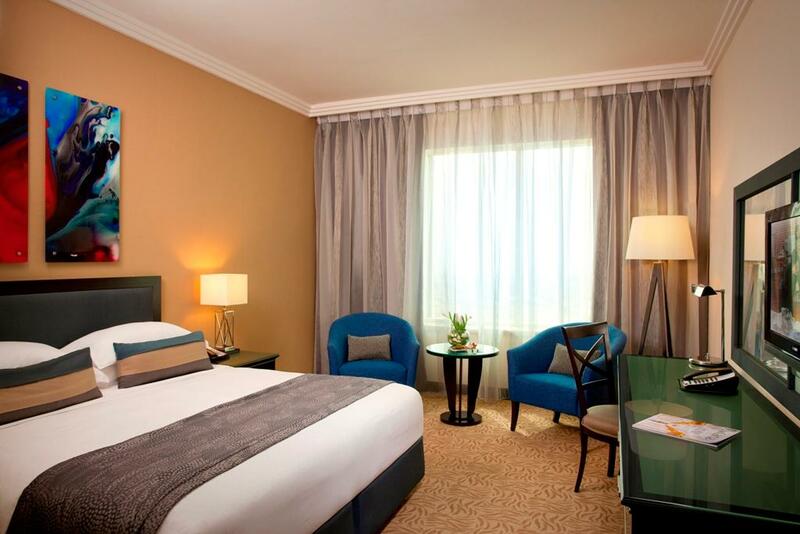 We enjoyed so much during our stay with Rotana. We hope to stay with them again if we travel back to Dubai in the near future . The services were overall good. Nice and friendly staffs. Conveniently located. Only downside was we paid in advance through Agoda and as mentioned in our itinerary and price breakdown everything was included. At the time of check out we were being told that we had to pay tourism fees which were never mentioned before and we were not ready for this last minute payment. We had a great stay at this hotel, the room was very clean. 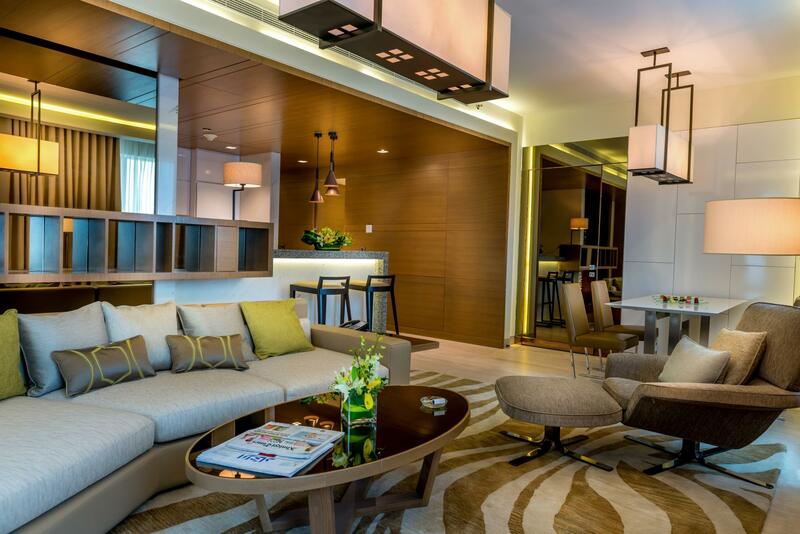 The staff were very friendly, especially Mahesh who is the chief concierge. He recommended some good restaurants and things to see/do. 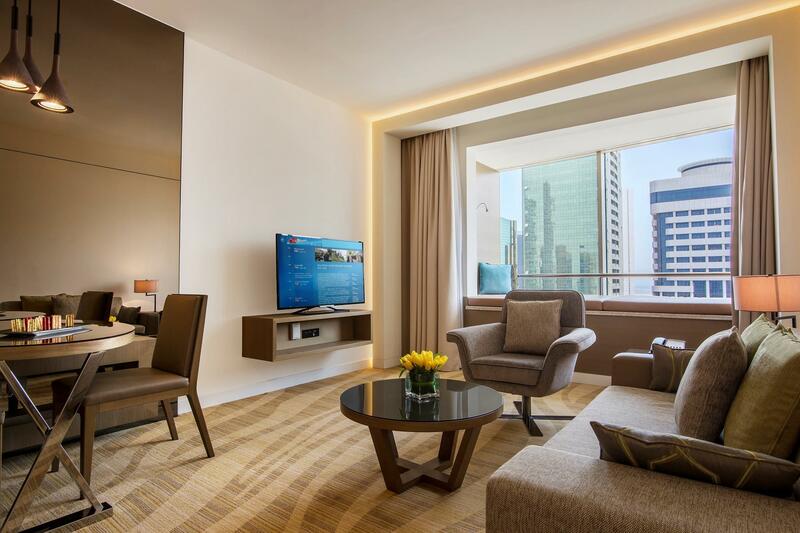 Location is great, nearby the Dubai mall, metro, restaurants. Good choice , good location. I highly recommend this hotel because of so many reasons. First its just 2 mins away from the metro station, 2nd, so many restaurants around and theres is a 24 hrs supermarket nearby. its just near to Dubai mall. Thos the room may not be soundproof coz I can here baby crying very loud but its not really an issue for us. We are upgraded to room with a couch with perfect Jumeirah view. Breakfast was good having everything I like However it is awkward that the gym and swimming pool is outside the hotel Proper. 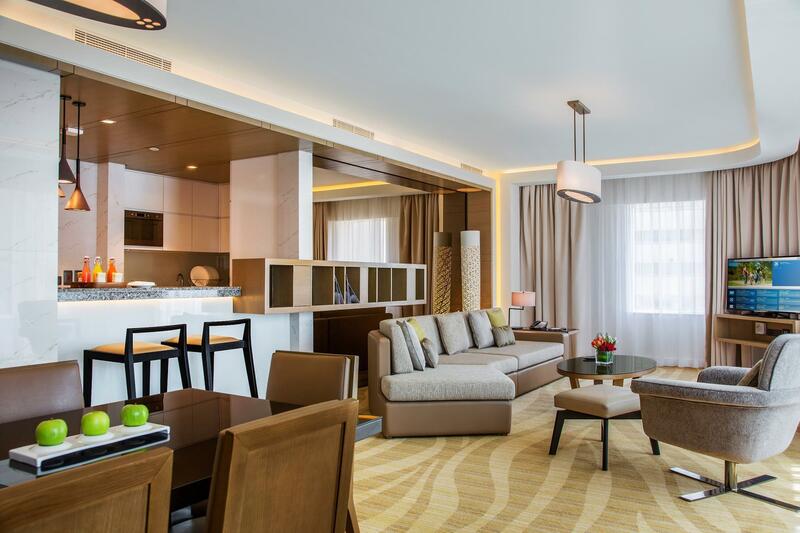 I have stayed at several other Rotana hotels and noted that room rates does not include Internet which is very essential for most guests. Can u consider including it? 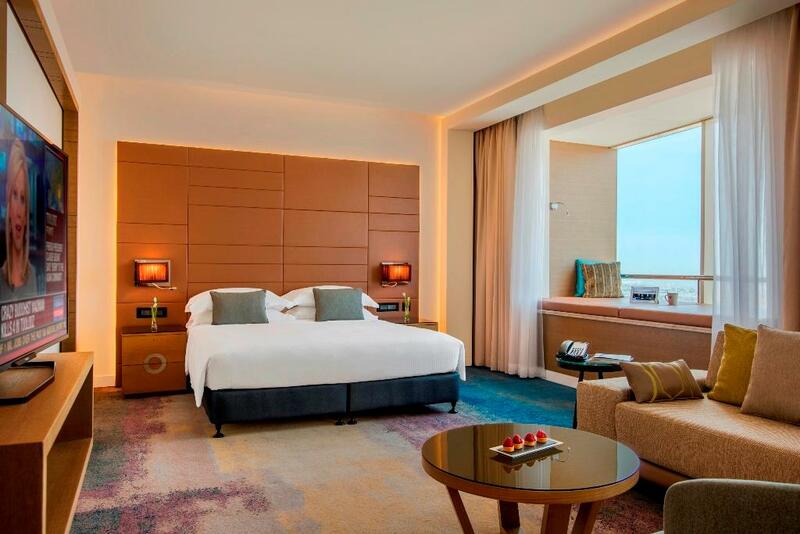 Rotana has been my preferred chain for staying for business travel in UAE. This was my first stay at this particular property. While everything was perfect in terms of location, staff, breakfast, room comfort there were only 2 things which I did not like. There was no Muslim shower in the washroom which was quite uncomfortable for me as a Muslim business traveler. Secondly the room rate did not include free in room Wifi. Internet is like oxygen for business travelers and usually it is available got free in every hotel. 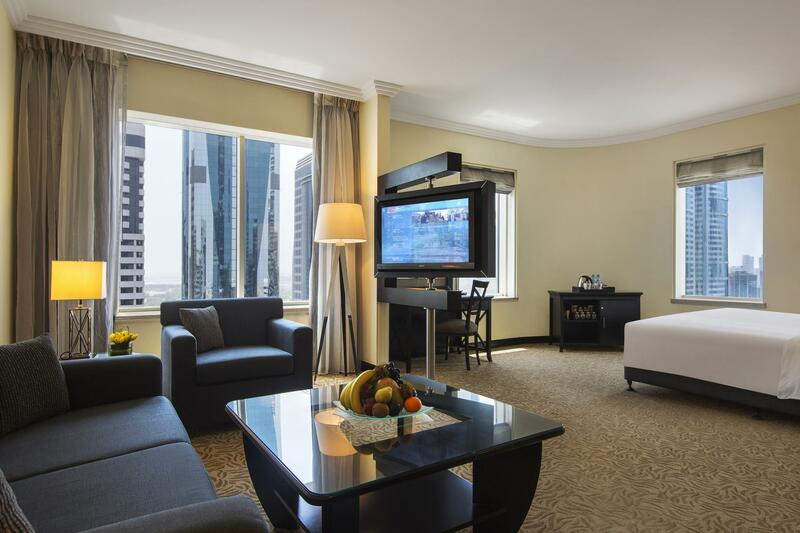 Having lived in Dubai for 5 years, I find the Towers Rotana a perfect location on Sheikh Zayed Road by the metro station and plenty of restaurants. The staff are consistently professional and the hotel is consistently clean. Hotel location is good, 5 min from metro, local restaurants within walking distance . However, two female staff at check in not only failed in customer service, they were irresponsible and I say no more of the bad experience . I have tried many hotels in different countries . This appalling attitude .was the worst. Don’t go there in case you will get the done treatment . I have stayed at Towers many times - but have had 2 disappointing experiences within 1 week! Last week I booked a room for 2 nights through Agoda. When I checked out - I saw that I had been given/charged an extra $100 for a room upgrade - THAT I NEVER ASKED FOR. I selected and paid for a room already, why would I want an upgrade? I can only assume I wasn't paying attention when the girl was talking fast and checking me in? Anyway, I have been given free upgrades in the past, so didn't mention it. 5 days later I was back. I booked a room through Agoda - and made a booking error by requesting an extra bed. My mistake, non-refundable. On check in, there was a guy at reception complaining that he was being charged for an Upgrade that he never asked for. The room I was given was a downgrade from the room I had booked and paid for. I paid for an extra bed. Even though I didn't need it... why did they give me a smaller room? We were upgraded to a deluxe room but came to know that this was additional at the last day. Breakfast was same menu everyday. Very nice staff. Clean hotel with excellent walking distance to metro as well as supermarket and cafes. Hotel staff really nice hotel clean. Great for a central location. Excellent location. Clean rooms. Breakfast is very good. Lesa or elsa - sorry I forget the exact spelling- is one of the best stuff there , this is the second time to recognize her skills of treating clients and welcoming them in and out, good choice, I'll stay at this hotel again and again Thanks to you all. สถานีรถไฟใต้ดิน Financial Center - ระยะ 0.19 กม.